Topaz Glass Beads Self Designed Flower embedded inside the Glass Beads which is absolutely new & beautiful with traditional & ethnic oxidized beads all accented in classic stretchable bracelet this is Gorgeous Bracelet. This handcrafted bracelet is strung together. 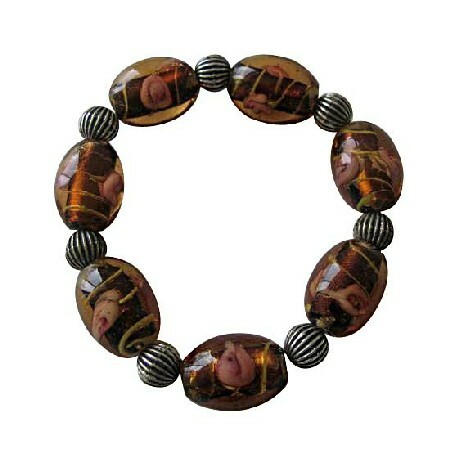 This Bracelet Delve into a World of Glamour.